The prototype Battle taking off from Hayes in March 1936. В отличие от прототипа (на снимке) на серийных самолетах не было кока винта - итог выбора воздушного винта марки DH. 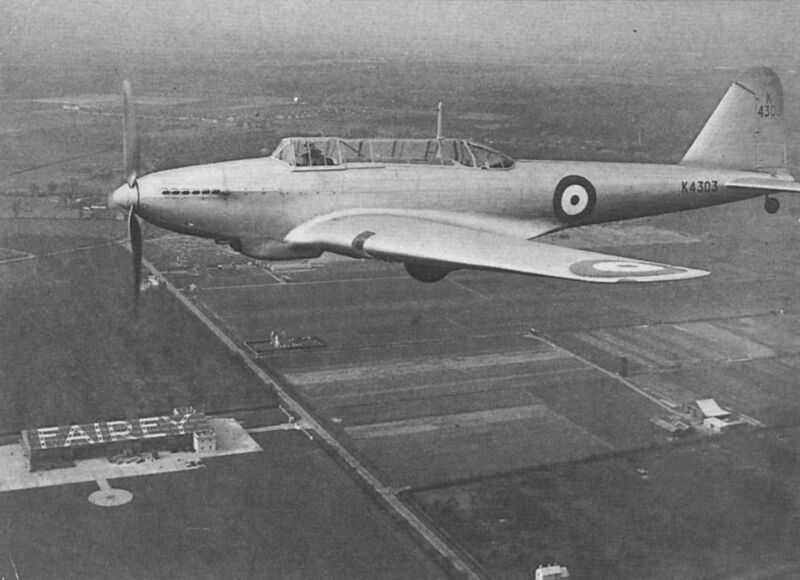 The prototype Battle photographed by Charles E. Brown over the Fairey flight hangar at the Great West Aerodrome, Hayes in March 1936. K-1303 made its first flight in the hands of Chris Staniland. 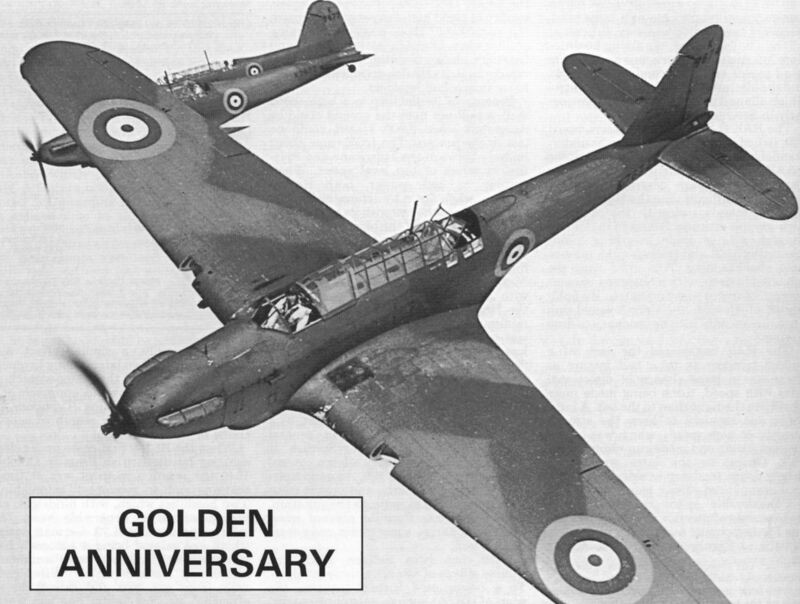 THE WORLD'S FASTEST BOMBER: Inspecting the Fairey Battle from stem to stern one finds: three-bladed Fairey airscrew; supercharged Rolls-Royce Merlin; small abdominal radiator, possibly denoting high-temperature cooling; internal landing lights; semi retractable undercarriage; complete cockpit enclosure; and cantilever tail plane. The covering is a stressed metal skin. All these features are visible in this view of Fit. Lt. Christopher Staniland "posing" the Battle over Heath Row. 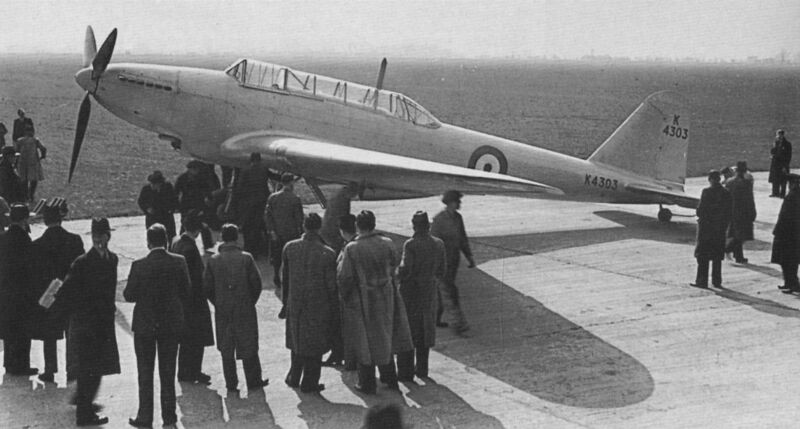 Press viewing of the prototype Battle at Fairey's Hayes aerodrome on March 30, 1936. 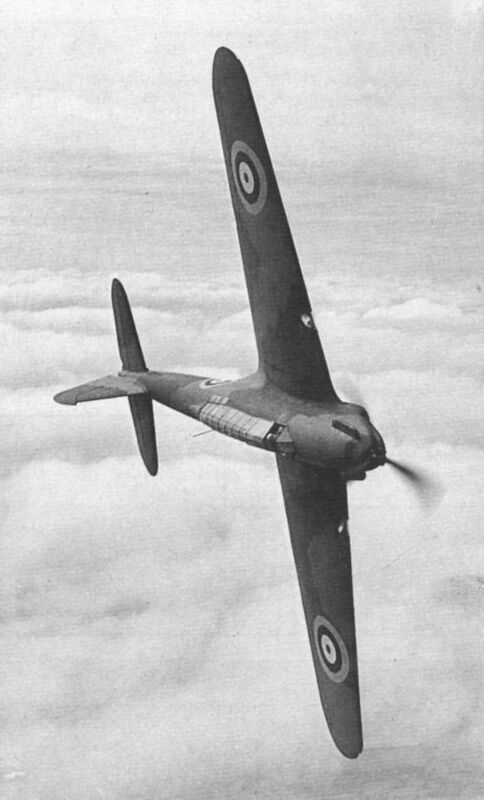 Note three-bladed, fixed-pitch Fairey Reed propeller and early type canopy. Battle K7612 of 52 Squadron taxying out at RAF Northolt in May 1938. 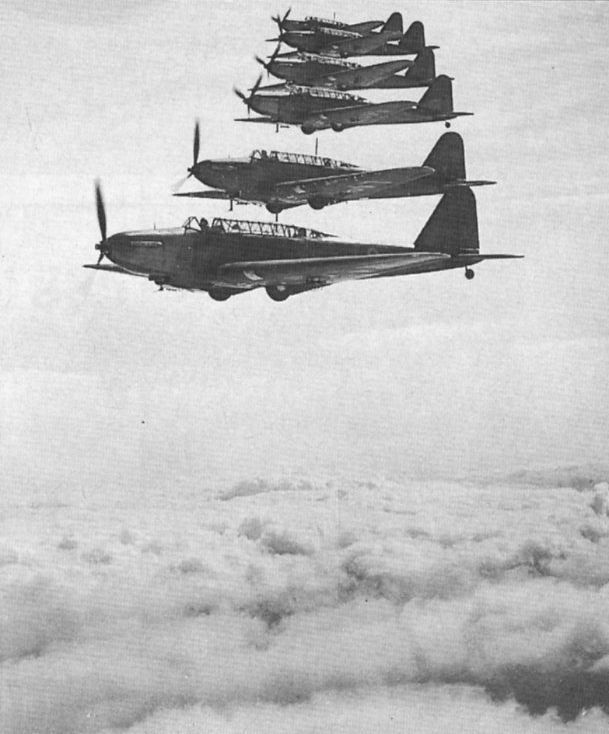 A formation of six Battles photographed during the period of the “Phoney War" in November 1939. Another view of the trio of 12 Squadron Battles taken during a flight from Andover in May 1938. They are K7674, K7677 and K7662. Three 12 Squadron Battles up from RAF Andover in May 1939. Those three Battles again - K7662, K7674 and K7677. All three aircraft became maintenance instructional airframes in 1940. Dramatic view of Battle K7551 flying from Hayes on July 6, 1937. This first production aircraft was tested by the A&AEE, RAE and the makers before going to a general reconnaissance unit at Exeter. 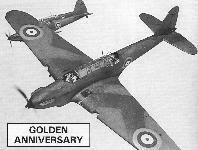 It was damaged beyond repair during a forced landing at Tiverton, Devon on August 27, 1940. 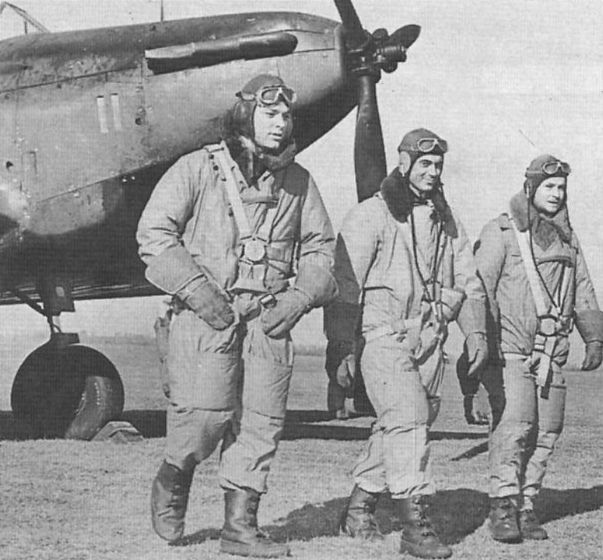 Three potential aces at an advanced training squadron with the Royal Canadian Air Force in 1940. 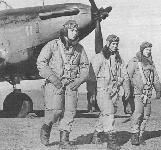 A total of 739 Battles found their way to Canada as part of the Commonwealth Air Training Plan. 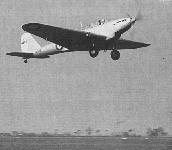 200 Battle trainers were built, the first appearing in 1940. The two separate cockpits necessitated fairly extensive changes to the fuselage structure.